Watch every session of MotoGP™, Moto2™, Moto3™ and MotoE™, from Free Practice 1 (FP1) to the race in HD quality across multiple devices exclusively on DAZN. Missed a race? Catch the highlights of all the races on demand. Plus you can also watch the World SBK championships, The FA Cup, Coppa Italia, UFC and much more! All sports available on DAZN can be viewed in one package for only 4.99 per month after your free month. Cancel anytime. Connect up to 5 devices. Watch on any 2 devices at the same time. Watch live sports completely free for one month! Then 4.99 per month. Watch all MotoGP™ races throughout the season exclusively live on DAZN. Watch MotoGP™ highlights on demand. DAZN is the new home of MotoGP™: you can watch all the races of the new season, including practice and qualifying. Enjoy your sports in HD. Watch live and on demand. Watch anywhere on any device - Smart TV, Mobile and Tablet, Computer, Games Console. Commitment free. In three steps you can watch as much sport as you like. Watch every session of MotoGP™, Moto2™, Moto3™ and MotoE™, from Free Practice 1 (FP1) to the race. 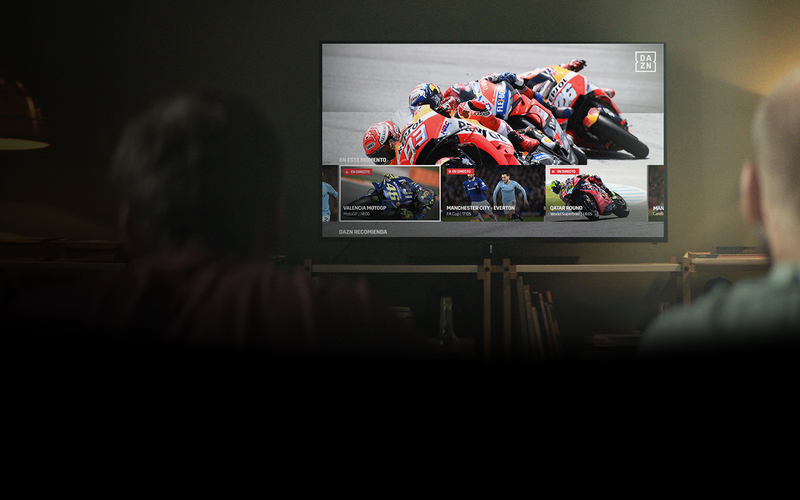 Enjoy watching motorsport, football and much more in HD immediately. Remember to download the DAZN app on all your devices. DAZN is currently available in Germany, Austria, Switzerland, Canada, Italy, Spain, Japan and the US. To request DAZN in your country, contact us.